Learn the methods behind the world’s best poker player’s success. Each module breaks down a crucial concept to help you win. Doug explains each lesson in detail with videos that outline fundamental poker theory and teach how to put it into practice. Get into our private poker mastermind Facebook group, including Doug Polk, Ryan Fee and many other professional players, where you can share what’s working and get help with what isn’t. 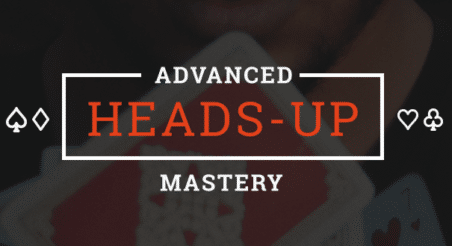 The Upswing Poker Lab is a No-Limit Holdem membership poker training course that is updated each month with in-depth theory modules. Every week Doug Polk, Ryan Fee, Fried Meulders, or Parker Talbot add one new Multi-tabling Play & Explain video! Don't know Fried Meulders? He has been crushing the toughest No Limit Hold’em cash games on PokerStars since the start of 2012! Known as "mynameiskarl" online, Fried is an online pro who has played more than 3.4 million hands, mostly at 500NL. He has destroyed these very tough games, achieving a win-rate of over 3.7bb per 100 hands (see partial graph on the right). He approaches the game from a GTO (Game Theory Optimal) perspective, while making some exploitative plays to maximize his winnings. His Play & Explain videos in the Lab feature him playing Zoom 500NL or higher on PokerStars. Learn the foundations of preflop play and the theory behind winning preflop strategy. Know exactly which hands to play from all positions – and when to deviate from the charts for maximum earnings. Without the concepts I learned from Upswing Poker, I doubt I would have made a deep run in the [World Series of Poker] Main Event. Upswing is great for players at any skill level. I just wanted to say how amazing Upswing Poker is. I've been at [other training sites] before and the investments paid off for me but you guys are just on another level. I wanted to improve my game...so I decided to jump into the Lab. After studying the videos in the Lab, my game has improved a lot. I just came off my biggest win of the year, an $88 tournament which I won for $7,800. The Lab has been a tremendous resource for me. I had been on [other training sites] and, while they were useful, I think the Upswing approach is far superior. The strategy is very easy to implement and follow. Just wanted to give Upswing Poker my appreciation for such great content. Working my way through the Lab...the content has definitely helped with some situations that I struggled with and filled holes in my game. It's an overwhelming amount of information but its organized extremely well. Much thanks. Thanks again! The Lab has helped me turn something I did for fun into a hobby that makes me money. Appreciate everything! Seriously though I feel like I played my best game ever in this tournament and I wouldn't have done that without Upswing. Played tough online games, studying hard and owning my mistakes have really sharpened my game. Thank you guys again! I want to thanks everyone in the Lab for helping me out a s*** ton with my poker game. I was a losing player the first months of my poker career. Joining the Lab was the best decision I ever made and I am now a winning player. It's incredible how much Upswing Poker has upped my game, especially postflop. Today I played 5/10 live for the first time ever. Previously the highest stakes I played was 1/3 live before Upswing and the Lab. Worth it alone to just watch the videos of Doug and Ryan. You guys make it seem so simple! Loving the content so far and thinking this is exactly what i need to improve and move up. Thank you for the Lab, everything is so easily explained! I love the way you guys teach us poker. Finally a training site where you don't have to look at hundreds of hours of video to get the good stuff. Just want to say after joining the Lab, I definitely feel more confident in my NL Hold'em game. Thank you Upswing Poker, Doug Polk, and Ryan Fee. Your course and explanation are definitely something more than a hidden gem. Access a wealth of information including strategies from Doug Polk, one of the top No-Limit Hold’em players in the world. Designed to be consumed in a linear path, you can learn the right way, from A to Z. Returning Lab customers please refer to the FAQ to find out how to resubscribe.